Companion animal obesity has become a welfare issue as its prevalence increases, states Dr. Barry Kipperman, HSVMA Board of Directors member and California State Co-Representative. Dr. Zarah Hedge, a member of the HSVMA Leadership Council, outlines the moral and ethical obligations of private practitioners to help reduce the number of homeless animals and euthanasia rates. Maddie's Fund has awarded a $2.8 million grant to The College of Social Work Program for Pet Health Equity to support research and development of AlignCare, a program directed by HSVMA Board of Directors member, Dr. Michael Blackwell. HSVMA President of the Board of Directors and Rhode Island State Representative, Dr. Gary Block, addresses how the term 'standard of care,' as it relates to veterinary medicine, needs to be redefined for legal and ethical reasons. Factors and trends affecting the dog population in this country are addressed in a paper co-authored by Dr. Andrew Rowan, HSUS Chief Scientific Officer and HSVMA Executive Director. Dr. Nicholas Dodman, HSVMA Massachusetts State Representative, states that animals who have behavioral disorders could benefit from psychiatric drugs, and this treatment may prevent them from being relinquished to shelters. HSVMA Leadership Council member, Dr. Katy Nelson, questions the ethics of cloning a pet. Dr. Andrew Rowan, HSVMA's Executive Director and Chief Scientific Officer for the HSUS, addresses the use of monkeys in Volkswagen's research in a letter to the editor of The New York Times. HSVMA Massachusetts State Representative, Dr. Nicholas Dodman, questions the source of pentobarbital recently found in dog food. HSVMA Veterinary Advisor, Dr. Barbara Hodges, gives tips on how to make sure your dog's collar is safe and not in danger of harming your canine friend. HSVMA Veterinary Advisor, Dr. Barbara Hodges, speaks to the popularity of alternative therapies as a complement to traditional veterinary medicine. HSVMA Connecticut State Representative, Dr. Melissa Shapiro, weighs in on Yale's decision to change it's mascot, Handsome Dan, to a different breed of bulldog. HSVMA New York State Representative, Dr. Eileen Jefferson, is quoted in an article about Mars' acquisition of VCA and the consequences of corporate consolidation in JAVMA. HSVMA Massachusetts State Representative, Dr. Nicholas Dodman, gives advice for safe travel with your cat. HSVMA member, Dr. Lucia Roberts urges New York State veterinary professionals to let Sen. Joseph Griffo know they support his bill to prohibit cat declawing for non-medical purposes. The UC Davis School of Veterinary Medicine publication, Advance profiled long-time HSVMA member, Dr. Chumkee Aziz and the shelter medicine research she is working on during her residency in the UC Davis Koret Shelter Medicine Program. HSVMA Leadership Council member, Dr. Joann Lindenmayer, testified before the Massachusetts State Agriculture Committee on behalf of a bill that would require larger cages for laying hens, pigs, and veal calves. HSVMA's Colorado State Representative, Dr. Jon Geller, and his organization that provides free veterinary care for the pets of the homeless are profiled in the October 15, 2015 issue of JAVMA. The artwork of longtime HSVMA member, Dr. Laurie Peek, is featured on the cover of the December 1, 2015 issue of JAVMA. HSVMA Senior Veterinary Advisor, Dr. Barry Kellogg reminds pet owners that humidity, as well as ambient temperature, can negatively affect pets. HSVMA joined the Coalition for Horse Racing Integrity, a group that supports federal legislation to authorize oversight of equine medication, testing, and enforcement. HSVMA gives advice for keeping pets cool in the summer to WMC Action News 5 in Memphis, Tenn. and WKOW in Madison, Wis.
HSVMA senior veterinary advisor, Dr. Barry Kellogg, discusses flea prevention in the Sam's Club publication, Healthy Living. Listen to HSVMA senior veterinary advisor, Dr. Barry Kellogg, talk to the hosts of the radio show, "Men's Health Live" about fitness trackers for dogs and pet obesity, in general. HSVMA veterinary advisor, Dr. Barbara Hodges, voices welfare concerns about primate research centers and explains why primate research should be a thing of the past. HSVMA Leadership Council member, Dr. Joann Lindenmayer, discusses concerns surrounding the use of subtherapeutic antibiotics in intesively-confined farm animals, and urges the Massachusetts Legislature to pass a bill that would ban the use of these housing systems to help improve the health and well-being of people and animals. HSVMA Senior Veterinary Advisor, Dr. Barry Kellogg, contributed to an article highlighting tips for keeping pets safe in extreme heat and humidity. HSVMA Senior Veterinary Advisor, Dr. Barry Kellogg, says clinical research on the effects of marijuana in animals is needed to establish a knowledge base so veterinarians can better understand how to treat animals who ingest the drug, and maybe even learn if animals can benefit from its use. Our two humane veterinary student award winners, Michelle White and Ada Norris were acknowledged for their win in their school newspaper, the Cornell Chronicle . HSVMA member, Kim Keane, is profiled for her work as a veterinary technician and volunteer with her local SPCA, and advocates for more volunteers to help shelter staff. HSVMA Leadership Council member and former Food and Drug Administration official, Dr. Michael Blackwell, is quoted in an NPR piece that questions whether farm veterinarians are pushing too many antibiotics. The AVMA looks at a recent UC-Davis study that caused some in the profession to reevaluate their opinions on spay/neuter practices, and highlights points made during HSVMA's September webinar on spay/neuter research by presenter Dr. Philip A. Bushby, professor of humane ethics and animal welfare at the Mississippi State University College of Veterinary Medicine. HSVMA member Aubrey Lavizzo, DVM talks about the documentary, The Paw Project, and offers alternatives to declawing cats. HSVMA Senior Veterinary Advisor, Barry Kellogg, VMD, voices support for a New Jersey bill that would ban gestation crates in the state and urges legislators to support the measure. National Geographic discusses a documentary, The Paw Project, which follows the efforts of HSVMA member, Dr. Jennifer Conrad, to ban declawing in the United States. HSVMA Senior Veterinary Advisor, Barry Kellogg, VMD, explains why he and more than 175 Massachussetts veterinarians support a ban on confinement crates for calves and gestation crates for pregnant sows. The Penobscot Bay Pilot in Maine shared our four tips for keeping pets safe on Independence Day. The work of HSVMA-RAVS veterinarian and 2011 HSVMA Veterinary Practitioner of the Year, Dr. David Turoff, is highlighted in his local newspaper, the Mountain Democrat. HSVMA member Dr. Barry Kipperman explains why he believes small animal veterinarians should care about farm animals. HSVMA members provided veterinary support during an exotic animal rescue in Atchison, Kan.
HSVMA Leadership Council Chair Dr. Holly Cheever explains why she opposes devocalization and voices her support for senate bill S.2271, proposed legislation that would prohibit the procedure in New York state. HSVMA member Dr. Gordon Stull shares his thoughts on why New Jersey should ban gestation crates and urges support for S1921 — state legislation that would prohibit use of the crates. HSVMA-RAVS professional volunteers who teach at at veterinary technician school in Utah spearheaded a fundraiser for the program with the school's NAVTA student chapter. DVM360 reported on the reaction of HSVMA and animal protection organizations to a recent study on cats and wildlife that could unfairly cast a bad rap on felines. The University of Florida College of Veterinary Medicine highlighted HSVMA's sponsorship of two summer 2013 research fellowships with Maddie's® Shelter Medicine Program in conjunction with the Merial Student Scholars Program. Veterinary Practice News highlights veterinary response, including HSVMA's, to a study study conducted by the Smithsonian Conservation Biology Institute and the U.S. Fish and Wildlife Service’s Division of Migratory Birds that brought new attention to the controversial issue of cats and wildlife predation. HSVMA veterinary advisor Dr. Susan Krebsbach was quoted in a Bloomberg article about new dog and cat robot models that will eliminate the need to use live animals for teaching students how to treat animals in emergency or critical care situations. The Pig Site reported on the support of more than 100 New Jersey veterinarians who signed on our letter of support of legislation that would end the use of gestation crates in the state. NJToday.net shared our support of New Jersey Assembly Bill 3250, legislation that would end the use of gestation crates for breeding pigs. HSVMA Senior Veterinary Advisor, Dr. Barry Kellogg shared winter dog care tips on Beneful's website. Thanks to CBS News for covering the efforts of Coalition to Protect & Rescue Pets and HSVMA to ban non-therapeutic devocalization in the United States. HSVMA Leadership Council member Dr. Brian Forsgren discusses why low-cost clinics don't post a threat to his clinic, and why his business model is successful. Several media outlets shared HSVMA's National Pet Wellness Month tips for keeping pets healthy, including DVM360, the Wilmington Star News, the Lawrenceville (Ga.) Patch, and The Oregonian. TheHorse.com mentions HSVMA's welcoming of the newly-approved American College of Animal Welfare. DVM360 covered the passage of California Senate Bill 1229, legislation co-sponsored by HSVMA that will prohibit landlords from requiring declawing or devocaliztion as a condition of occupancy. The bill is currently on Gov. Jerry Brown's desk awaiting his signature. 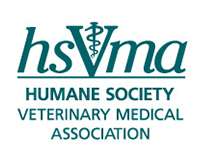 HSVMA Leadership Council member, Dr. Patricia Olson, is one of 23 charter diplomate members of the American College of Animal Welfare and also assisted in the development of the requirements and standards for the new veterinary board specialty. The Los Angeles Times mentioned HSVMA's work on a bill that was just passed in California to protect renters and their pets. Modern Dog magazine wrote a blog post encouraging their readers to support the work of HSVMA-RAVS. HSVMA Board President Dr. Paula Kislak wrote a Letter to the Editor to the Santa Barbara Independent asking why the California city funds an an inhumane event—a rodeo that is part of a larger event celebrating Santa Barbara's history. Dr. Barbara Hodges, HSVMA veterinary consultant, discusses tips for coping with the loss of a pet with Woman's Day. KX News in North Dakota visits an HSVMA-RAVS clinic on the Standing Rock Sioux Reservation. The article includes video coverage of RAVS' work. A first-time volunteer talks about her experience with HSVMA-RAVS in South Dakota as being focused on animal care above personal hygeine. The Humane Society of the United States and HSVMA applaud U.S Rep. Jim Moran, D-VA, for introducing a resolution asking animal shelters to cease the use of carbon monoxide gas chambers for euthanasia. HSVMA and The HSUS will work together to help secure injectable drugs for shelters that do not have access to them..
Nicholas Dodman, BVMS, MRCVS, DACVB, HSVMA Leadership Council member, professor of veterinary medicine at Tufts University and animal behaviorist, explained why dogs (and cats) are fascinated by laser pointers. The 2012 HSVMA-RAVS clinics in the Spirit Lake Nation of North Dakota were announced in the Devil's Lake Journal. Susan Krebsbach, DVM, an HSVMA veterinary consultant, talks about her experience as a veterinary student fighting for an alternative to terminal surgeries in an Animal Sheltering magazine article about the move towards positive partnerships between animal shelters and veterinary schools that open opportunities for students to gain hands-on experience that helps—rather than harms—animals. The West River Eagle covers the HSVMA-RAVS team treating pets of the Cheyenne River Sioux Tribe. The California State Senate unanimously passed a proposed bill co-sponsored by HSVMA that would prevent landlords from requiring declawing and/or devocalization for tenants' pets. The bill now awaits a vote by the state assembly. Susan Monger, DVM, HSVMA-RAVS International Director, Dave Turoff, DVM, HSVMA-RAVS veterinarian, and Richard Bachman, DVM, HSVMA member and former HSVMA Leadership Council member, were featured speakers for Making International Veterinary Aid Sustainable, a seminar sponsored by the International Animal Welfare Training Institute at UC-Davis. Sara White, DVM, an HSVMA member and one of the winners of HSVMA's Best Friend to Feral Cats award in 2010, wrote an article entitled "Prevention of Feral Suffering During Ovariohysterectomy of Pregnant Animals," published in the May 15, 2012 issue of JAVMA. HSVMA veterinary consultant, Dr. Barbara Hodges, submitted a Letter to the Editor to DVM Newsmagazine in response to a February 2012 article about Mississippi veterinarians who convened on a Hattiesburg, Miss. animal shelter to protest their low-cost sterilization program. Susan Krebsbach, DVM, an HSVMA veterinary consultant, is quoted in an article about the rising cat obesity problem by The Oklahoman. Sarah Gordon, DVM, an HSVMA member and first recipient of the HSVMA Veterinary Student Advocacy Award, helps authorities put an end to an Oklahoma puppy mill. Barbara Hodges, DVM, a veterinary consultant for HSVMA, was quoted in a Good Dog magazine article about pet cosmetic surgeries. Susan Krebsbach, DVM, a veterinary consultant for HSVMA, discussed the potential effect of an immiticide shortage on shelter animals. Susan Krebsbach, DVM, a veterinary consultant for HSVMA, was interviewed for an article about the inhumane use of carbon monoxide as a method of euthanasia. Nicholas Dodman, BVMS, MRCVS, DACVB, HSVMA Leadership Council member, professor of veterinary medicine at Tufts University and animal behaviorist, recently spoke at the International Association of Animal Behavior Consultants conference on the topic of compulsive disorders in animals. Nicholas Dodman, BVMS, MRCVS, DACVB, HSVMA Leadership Council member, professor of veterinary medicine at Tufts University and animal behaviorist, recently co-submitted a letter to the editor of JAVMA recommending that the veterinary profession be more proactive in addressing the issue of horse welfare and slaughter. The HSUS and HSVMA are backing a bill in Oregon to give caged, egg-laying hens more room to move. Nicholas Dodman, BVMS, MRCVS, DACVB, a professor of veterinary medicine at Tufts University and animal behaviorist, has collaborated with other veterinarians on a book for pet owners with senior dogs. Jennifer Scarlett, DVM, consultant for HSVMA Field Services and newly-appointed co-president for San Francisco SPCA, was named a recipient of the 2011 Association of Shelter Veterinarians Meritorious Achievement Award for her contributions in the veterinary field. Susan Krebsbach, DVM, a veterinary consultant for HSVMA, submitted a letter to the editor of DVM magazine regarding their neglect to mention veterinary support of Proposition B, the Puppy Mill Cruelty Prevention act. Susan Krebsbach, DVM, a veterinary consultant for HSVMA, presented a $25,000 check to the University of Florida's HAARTS program late last year, thanks to HSVMA and the Kislak Family Fund. Nicholas Dodman, BVMS, MRCVS, DACVB, a professor of veterinary medicine at Tufts University and animal behaviorist, was interviewed on NPR on the topic of how owners can help their senior dogs. We are sad to report that veterinarian and animal advocate, Dr. Dean Wyatt, passed away. Read more about his accomplishments on Wayne Pacelle's blog. The HSUS helped fund a study, conducted by Dr. Linda Lord, an assistant professor of preventive medicine at The Ohio State University, concerning cats' tolerance of collars, which should encourage veterinarians to discuss the importance of identification during annual wellness exams. Barbara Hodges, DVM, MBA, a veterinary consultant for HSVMA, offers some pointers for keeping pets safe in the cold. Veterinary behaviorist Melissa Bain, DVM, DACVB, MS, who gave a webinar for HSVMA, discusses aggression in pets for DVM 360. Paula Kislak, DVM, was interviewed for an article in Veterinary Practice News about a study regarding cat ownership. Paula Kislak, DVM, wrote an article in a local California paper, in an effort to raise awareness about pet overpopulation and reduce the tragic number of animals euthanized in shelters. Nicholas Dodman, BVMS, MRCVS, DACVB, a professor of veterinary medicine at Tufts University and animal behaviorist, was interviewed by a local paper regarding the Massachusetts bill that would ban the devocalization of dogs and cats. Barbara Hodges, DVM, MBA, a veterinary consultant for HSVMA, was interviewed for an article in DVM News magazine, discussing the increased awareness of animal welfare issues in the veterinary profession today. Holly Cheever, DVM, vice president of the New York State Humane Association, was interviewed in the movie, Blinders, which won a Genesis Award for TV Documentary. Dr. Cheever has been diligently working on the issue of NYC's urban carriage horse trade since 1988. Barbara Hodges, DVM, MBA, a veterinary consultant for HSVMA, was interviewed for an article in the Scoop online, discussing the painful cosmetic procedures of ear cropping and tail docking. Susan Krebsbach, DVM, a veterinary consultant for HSVMA, submitted an op-ed to The Oklahoman in response to the OSU School of Veterinary Medicine controversy. Paula Kislak, DVM, was interviewed by a local news show about the rescue of a group of abandoned greyhounds from Guam. Listen to the broadcast. Barbara Hodges, DVM, MBA, a veterinary consultant for HSVMA, was interviewed by DVM magazine on reaction to the AVMA policy on ear cropping, which takes a stronger stand against the procedure and urges breed clubs to eliminate ear cropping and tail docking from their standards. Dr. Hodges also submitted a letter to the editor of JAVMA, commending the AVMA for the stronger position, but pointing out that there is more to be done on other cosmetic and convenience procedures, such as declawing and devocalization. Larry Peetz, DVM, was featured in a article for The Humane Society of the United States, discussing his role in the veterinary community as an activist for animal welfare. Gordon Stull, VMD, director of the Burlington County Feral Cat Initiative in New Jersey, was interviewed by Animal Sheltering magazine on the medical issues involved in feral cat management and how feral cat caretakers can best care for their colonies. Nicholas Dodman, BVMS, MRCVS, DACVB, a professor of veterinary medicine at Tufts University and founding member of Veterinarians for Equine Welfare, continues his advocacy for equine welfare in an interview in DVM magazine on the issue of horse slaughter. Responding to opponents of a horse slaughter ban, Dodman states that the slaughter industry is "predatory and brutal" and adds that "any group or organization that supports it really needs to evaluate what they are all about." He also weighed in on the issue in this CBC News Investigation. Holly Cheever, DVM, submitted a letter to the editor, taking the horse industry to task for racing horses too hard at a young age, following the tragic euthanasia of Eight Belles after the 2008 Kentucky Derby.